2 Kings 4: A certain woman of the wives of the sons of the prophets cried out to Elisha, saying, "Your servant my husband is dead, and you know that your servant feared the LORD. And the creditor is coming to take my two sons to be his slaves." So Elisha said to her, "What shall I do for you? Tell me, what do you have in the house?" And she said, "Your maidservant has nothing in the house but a jar of oil." Then he said, "Go, borrow vessels from everywhere, from all your neighbors — empty vessels; do not gather just a few. And when you have come in, you shall shut the door behind you and your sons; then pour it into all those vessels, and set aside the full ones." So she went from him and shut the door behind her and her sons, who brought the vessels to her; and she poured it out. Now it came to pass, when the vessels were full, that she said to her son, "Bring me another vessel." And he said to her, "There is not another vessel." So the oil ceased. Then she came and told the man of God. And he said, "Go, sell the oil and pay your debt; and you and your sons live on the rest." 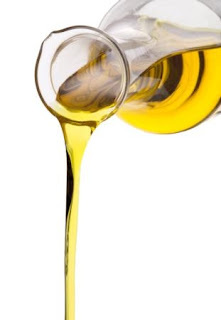 The oil is of course the anointing of God, and we are enjoined to do whatever we can to make room for a whole lot of it: we’re to get many jars, gathering them from the whole neighborhood, and be filled in private before spilling out into the public. I was at a gathering of believers recently, and we were praying – in response to the prophetic word – for an outpouring of oil, of anointing; the prophet had used this story as an illustration. I was as eager for the blessing as anyone else, and as I stood there, I had a vision of four glass jars standing empty. When they were filled, they would have held at least a gallon of oil each, but they stood empty. Then I saw them from below, as if they were on a glass table, and I saw the empty bottoms of the jars. Then I saw that they were actually resting on top of a large, a huge glass jar, one that would hold thousands of gallons of oil, and it was this jar that was being filled, and The Lord spoke to me that He’s not opposed to filling individuals, but He’s more excited about filling His Body, about filling the Bride of Christ, the Church gathered. The individual anointings might have to wait. I hear the Lord speaking this to us today, and I hear a couple of specific assignments. 1. I believe that His preferred place of pouring out in this season is on the community, not on the individual. You’ll notice that it wasn’t until all of us “clay pots” came together that the anointing was poured out. It’s not that He’s unwilling to pour anointings on individuals anymore: no, He still loves that. But He’s more eager to pour Himself out on his people gathered, on the community of believers. If we come to Him together, not just as a flock of individuals gathering together in one building on Sunday mornings, but as a community, then we’ll get more of His stuff, and we’ll get it sooner. He wants to bless community. The day of the big guns is over. 2a. “Go.” We may get filled up in the private place, but the next command is to go, and that means get out of the private place; given the context, this had to be the marketplace (where else do you sell oil?). We are commanded to go. 2c. “…you and your sons live on the rest.” We were meant to live to live on the Lord’s anointing. We were never built to live in debt, never designed to live on our own meager resources. We were intended to live on and in the anointing of God. My advice is to find brothers and sisters to gather with. I don’t think that Sunday mornings – as Sunday mornings generally have been, anyway – qualify for this outpouring. But find people whose heart is like your heart, who share your passions, and gather with them. And then, in that context, ask for His outpouring, ask for the oil, and look for it: what is He anointing? And when His anointing comes, take that anointing to the marketplace: give it to the people in the neighborhood, in the marketplace, and live on the rest. Find out what’s on God’s heart for your neighborhood, and pour the anointing of God into that move. Funny you should write this just now. After giving us your blessing, we departed for Australia. In one of our very first meetings, I saw something interesting during worship. I saw a large silver pitcher. It's contents were being poured out into a smaller one. The smaller one then tipped and poured it's contents out and the more it did so, the more it was re-filled. This is definitely a good word for the season we're in. We cannot hope to transform the culture around us unless we pour into it what has been poured into us. I think this may be what was meant by the admonition, "Freely you ave received, freely give."